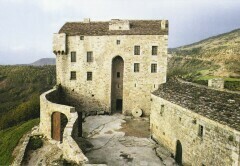 The first testimony of the feudal Château de Montaigut was in the 10th century. Built upon a rocky spur dominating the Dourdou Valley, this vast fortress used to protect Saint-Affrique town from the southern attacks. Enlarged and transformed in the 15th century by the De Blanc family, the castle was constantly restored before collapsing. 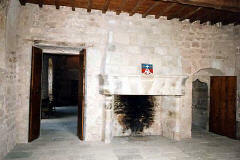 In 1968, an association called "The Château de Montaigut's friends" owns the castle : it's the beginning of a long-time period of restoration project. 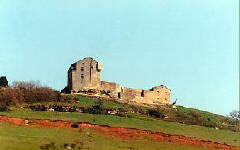 The castle is finally saved in 1989. The castle is a testimony of the middle ages period : splendid vaulted rooms served by a spiral staircase, a cellar, early middle ages burials and a cistern cut in the rock, guards room, ... Rooms of all dimensions imagined for a defensive utility and for the living. Today, it is an estimated cultural and leisure center where anybody can have a good time.